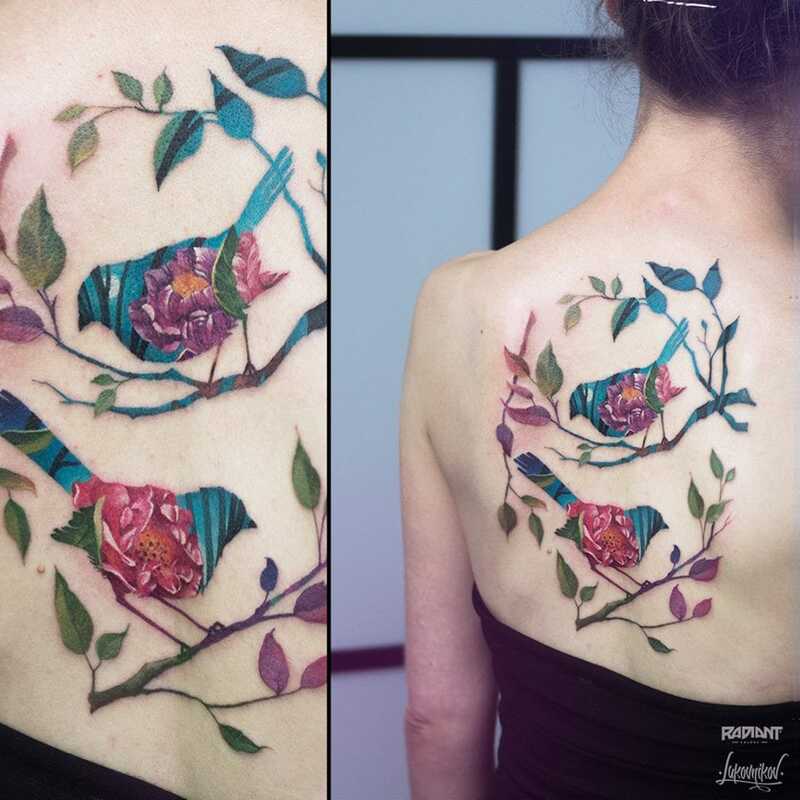 These stunning double exposure tattoos marry on-point, on-trend contemporary design and beautifully detailed tattoo work. 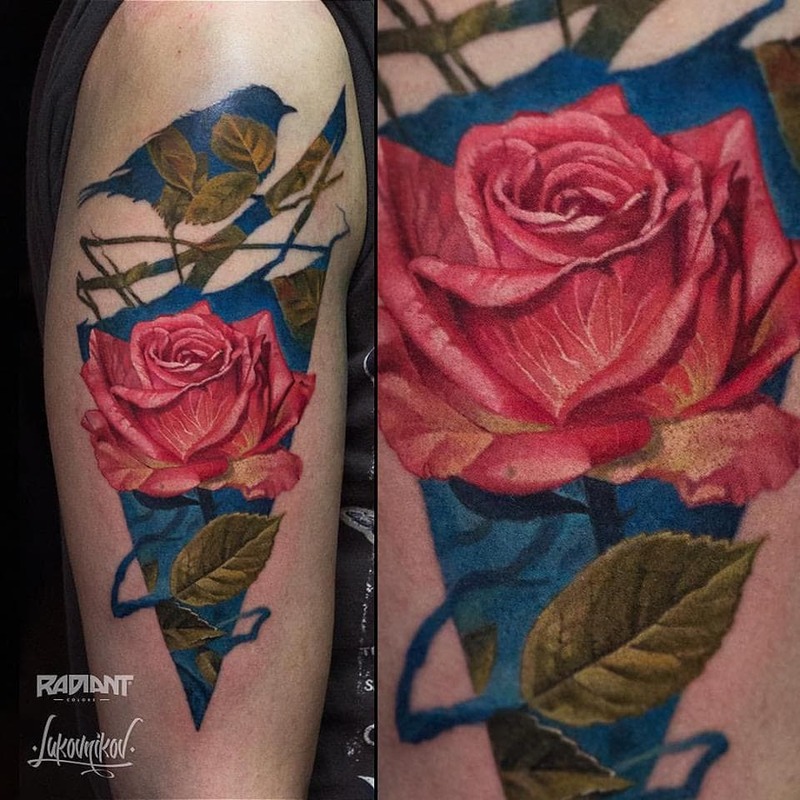 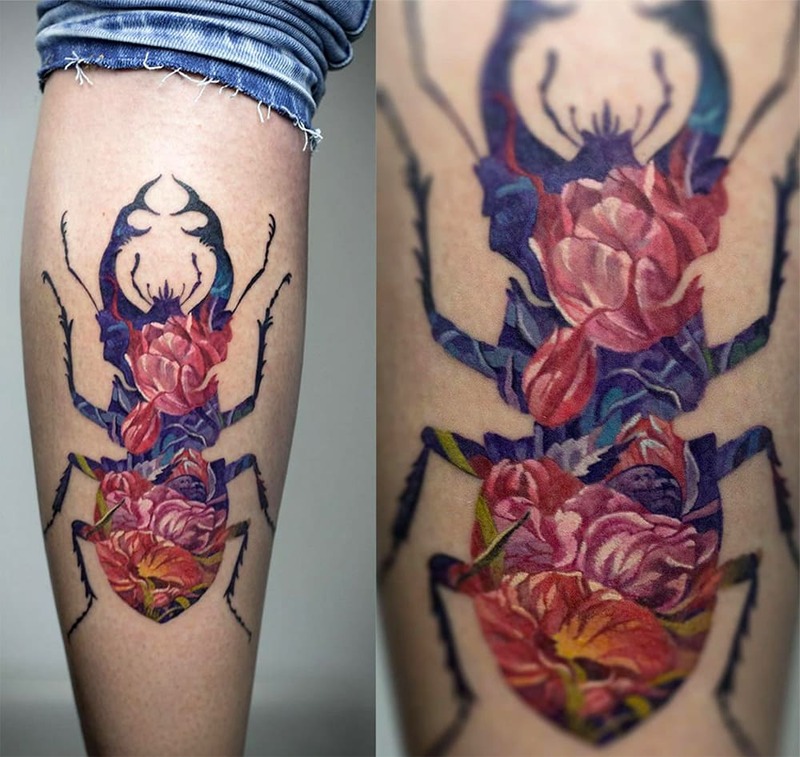 They are the work of Wroclaw-based, Polish tatoo artist, Andrey Lukovnikov – who employs a technique traditionally associated with digital art into his ink work. 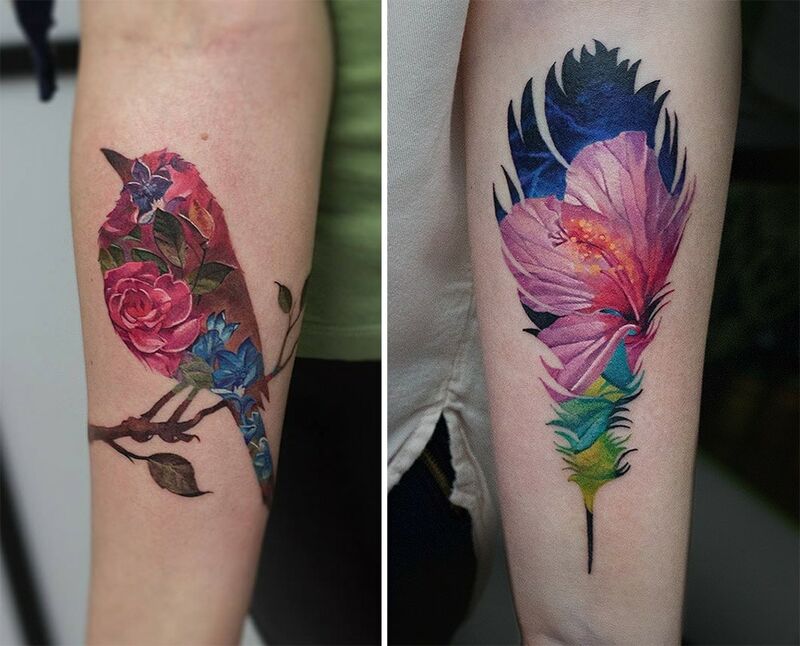 In ridiculously stunning detail, he fills delicate bird, bugs and sealife forms with floral iconography and patterns. 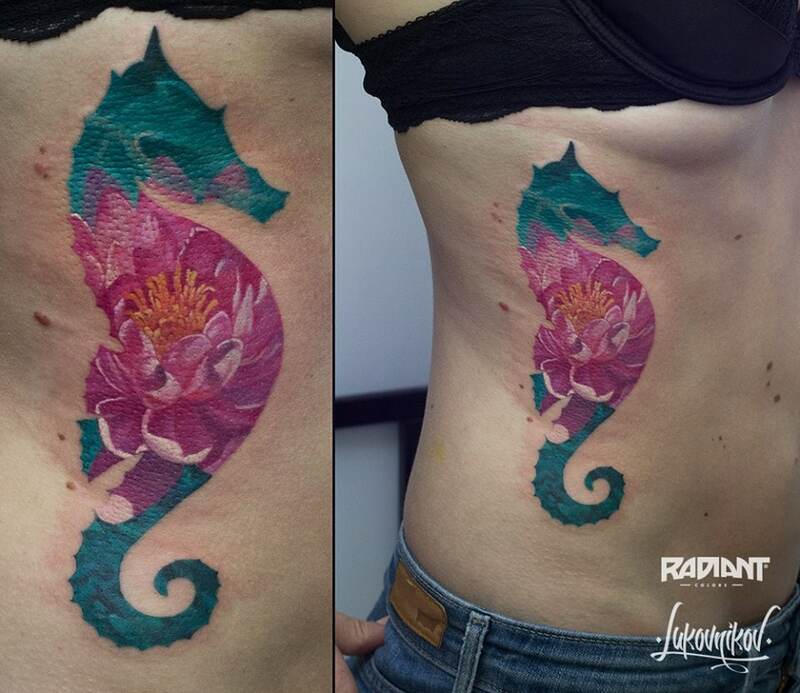 If you want to see more you can browse and follow Andrey’s work over at Facebook.